Give inside sales reps an outsized advantage. With High Velocity Sales, you can efficiently reach the best leads, intelligently convert leads, and create new opportunities in one seamless workspace. 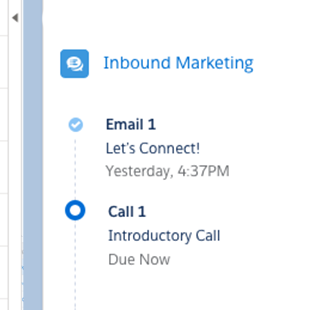 Drive rep productivity by powering through the appropriate next calls, emails, and tasks. 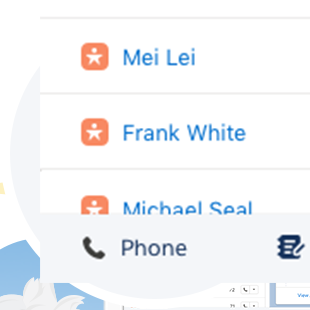 Communicate more efficiently with prospects and customers with click-to-call natively built in Salesforce. Create scheduled sequences of sales activities based on best practices. Build out the ultimate productivity workspace to optimize sales processes. Leverage your own sales history to convert better leads, faster. Revolutionize sales processes and boost productivity for every inside rep, every day. Create winning, repeatable sales cycles. By building sequences of sales activities with Sales Cadence, sales managers can perfect the sales process to bring out the best in their reps and make every sales success easy to repeat. Take the best next step for every lead, every time. 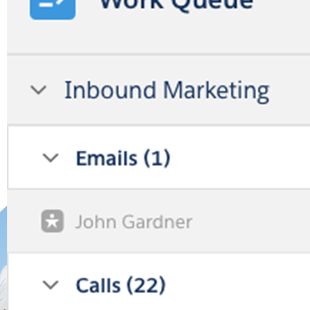 With Work Queue automation, one glance is all a rep needs to find the right next step to take with the right lead. Call prospects with one click. Reps can say goodbye to wrangling numbers or juggling phones. 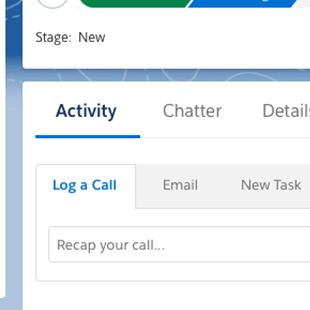 Salesforce’s native Lightning Dialer raises productivity by putting click-to-call right in the console. Local presence, automatic call logging, multiple voicemail drops, and more save hours everyday. Help reps convert with AI-powered lead prioritization. 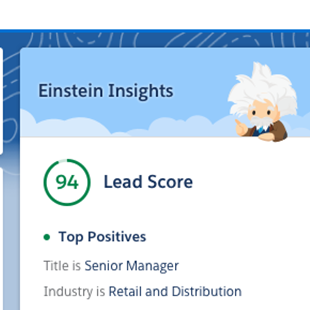 With Einstein Lead Scoring, you can automatically analyze your data to see which leads are most likely to convert and why. Reduce manual data entry with AI-powered activity capture. Spend more time on deals, not data entry. Automatically associate relevant emails and meetings to the right records, right from your inbox with Einstein Activity Capture. Deliver a unified, intuitive sales experience. Sales reps now have everything they need to sell faster all in one screen. From following up on leads and assessing companies to identifying key contacts and more, the Lightning Sales Console has you covered. Ready to bring intelligent productivity features to your inside sales reps? Let’s talk. The High Velocity Sales experience is here. Give your inside sales teams an efficient way to follow up with leads, assess accounts, identify key contacts, access sales intelligence, and find repeatable success. Salesforce High Velocity Sales is your fast track to building more customer relationships. Does My Business Need a CRM system? : Understand how CRM systems can benefit you in the long run. Tips for CRM Implementation: Follow these tips for hassle-free CRM implementation. Build Up Your Sales Conversion Funnel: Strengthen your conversion funnel and boost your sales conversion rates with the best CRM technology. Your Guide to Contract Lifecycle Management (CLM): Control the entire spectrum of the contract management process, whether you manage one contract or thousands at a time. How Cloud-Based ERP Solutions Help Companies Perform Better: Make all of your disparate systems work together on one platform. Mobile CRM Software: Manage your day activities wherever you are, in a single unified app. Email Tracking Software: Email tracking software now lets you sync everything from contacts, events, tasks and more. Quota Forecasting Software: Get a complete view of your entire pipeline and your business, and take action where necessary.